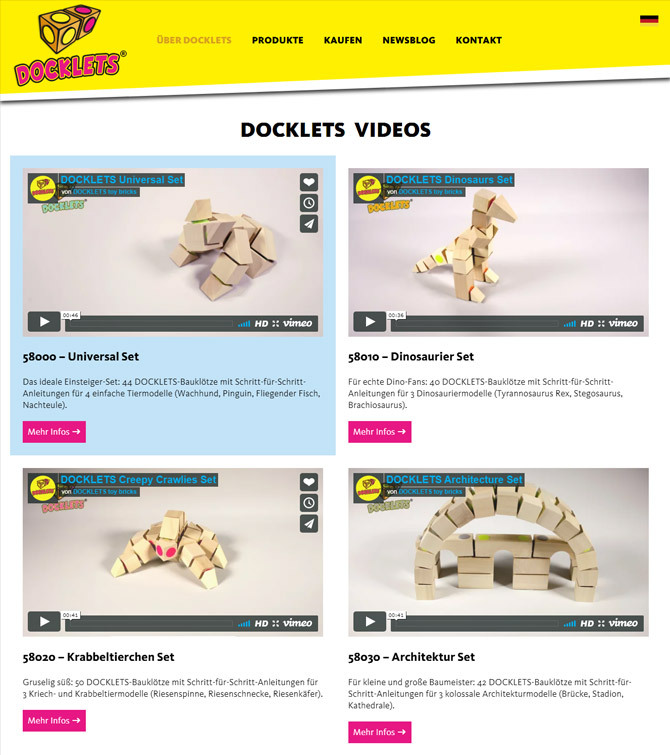 DOCKLETS is an innovative new building block system for young and old builders! Colourful Velcro points give the models stability and mobility at the same time. 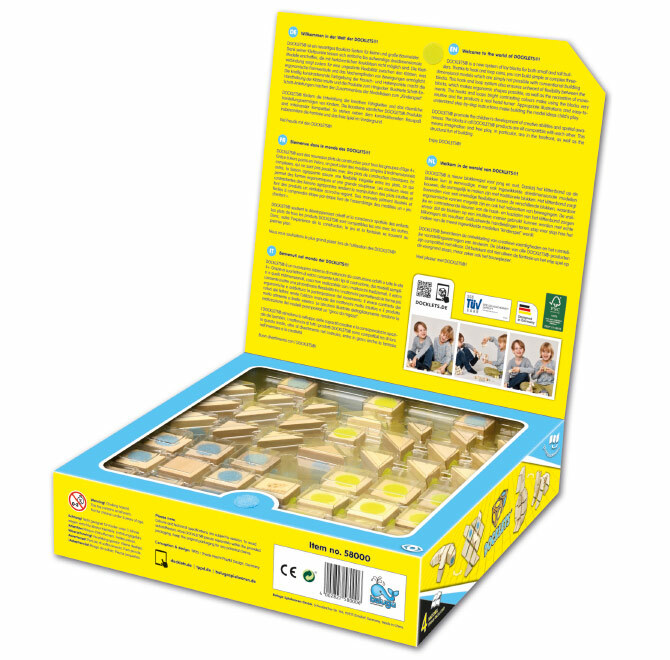 The colour differentiation of Velcro and hook points makes the handling of the blocks intuitive and the products an eye-catcher. 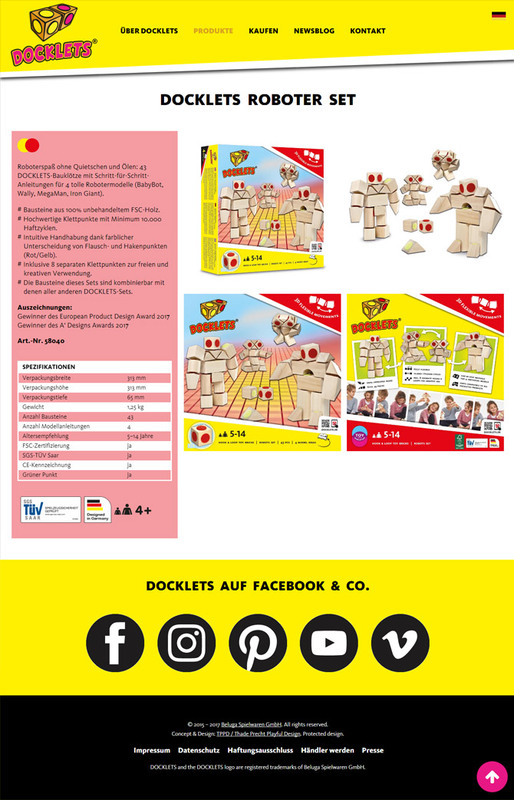 Illustrated step-by-step instructions make assembling the model ideas into a "children's game". 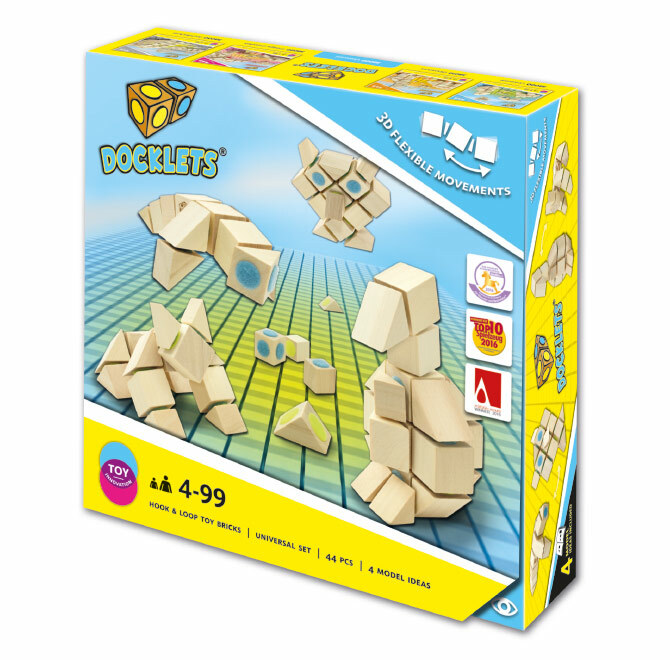 DOCKLETS promotes children´s development of creative abilities and their spatial imagination. 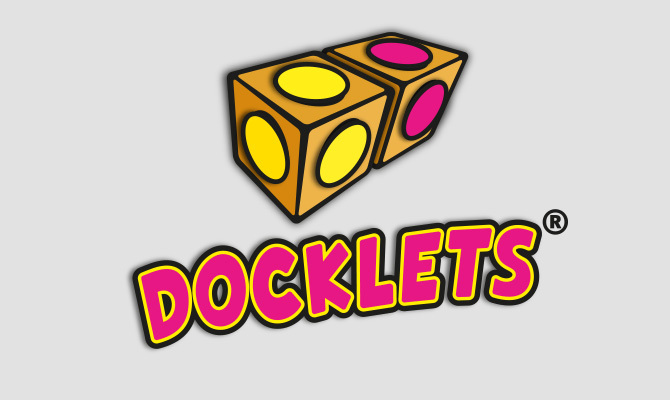 The building blocks of all DOCKLETS products are compatible with each other. Additionally to constructive building fun, the focus is on fantasy and free play. 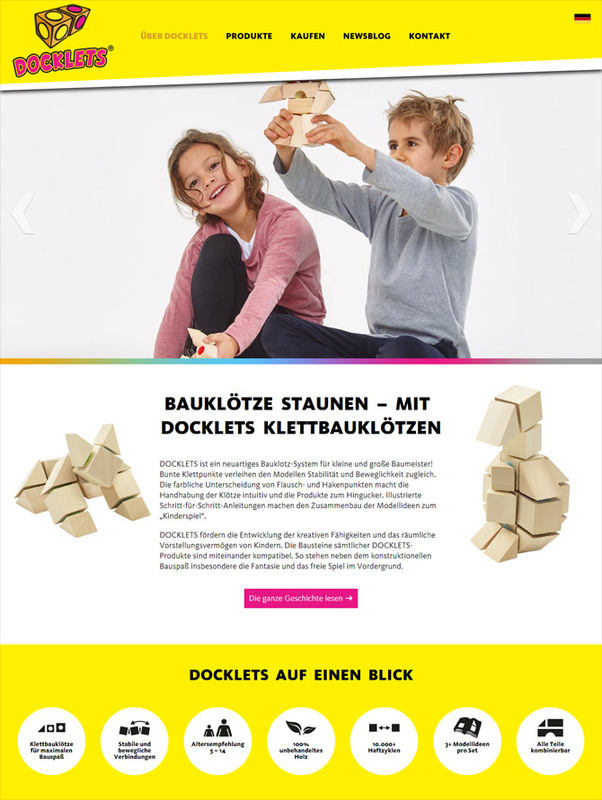 beluga is a well-known toy company located in the „toy region“ Nuremberg. 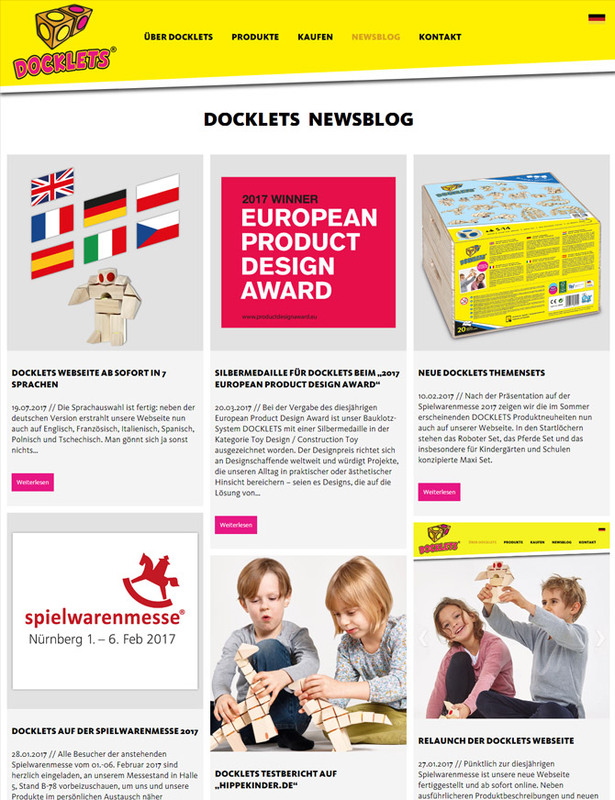 Their range of goods mainly comprises wooden toys, plush toys and games, as well as licensing products from brands such as HARIBO and Janosch.